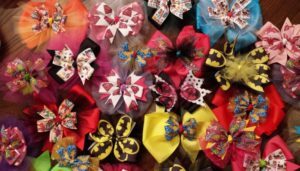 Bow Dazzling is a 501 (c) (3) non-profit organization that was established in 2010 by a childhood cancer survivor and her mom to make and provide bows and headbands for young girls undergoing treatment for cancer and other serious medical conditions. 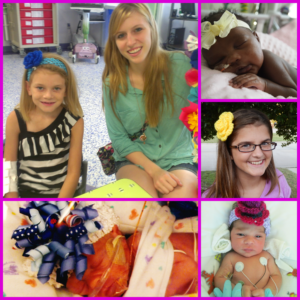 We provide bows to young girls of all ages, from NICU babies to high school and college age girls that are receiving treatment in our children’s hospitals. 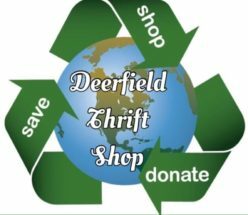 The organization is based in Hurst, Texas which is centrally located in the Dallas/Fort Worth area. We are sending a care package in January with headbands and supplies. If you would like to send some, drop them off at the store marked BOW DAZZLING and we’ll ship them with ours. Thank You!